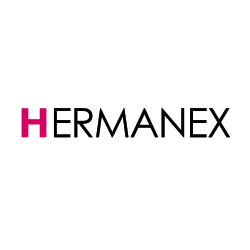 Hermanex Europe B.V. is one of Europe’s leading traders of quality branded stocklots, surplus inventory and overstocks. For more than 40 years we have pursued our vision to become the preferred partner for brands, wholesalers and retailers, wether large or small. Their Mission is to deliver all of their clients the best the branded stocklot market has to offer, on time, within budget, no matter where in the world you are based. Over the years, they have developed excellent relationships with many of the major global entertainment and brand manufacturing companies across various industries, such as Consumer Electronics, Toys, Multi-media software and hardware, Sports goods, Books, CD’s and DVD’s. Their supply chain management infrastructure, logistics and administrative services capabilities ensure that we deliver what they promise. So you can be confident you will receive the goods you order, when you need them. As trusted industry partners they ensure that your existing retail channels are always respected and subcontractors customary geographic or sales channels are not compromised.